Both Loopwheels and wheelAIR are making the most of ‘try before you buy’ schemes for their customers to allow people to trial their products before committing to purchasing at full price. Offering a ‘try before you buy’ scheme to users provides a more customer-centric approach, where the needs and wants of the individual are put first, which can lead to more trustworthiness and a good rapport between the company and customer. Loopwheels’ scheme allows users in the UK to trial its wheelchair wheels for 21 days for £20 before deciding whether they want to buy a pair of their own. Users can test out the wheelchair wheels in a variety of different environments, such as on roads, cobbled pavements or grass. 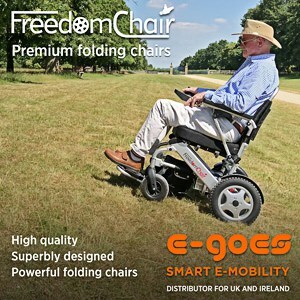 Individuals sign up online and select their wheel trial requirements for £20, which the company says covers the postage cost. After, the company delivers the set of trial wheels to the user’s door with instructions on how to fit them to the individual’s existing wheelchair. At the end of their trial, if users like the Loopwheels, the company arranges a collection of the trial wheels and sends out a new pair to the individual. There is an option for users to pay for the wheels in three- or six- monthly instalments. wheelAIR also operates a ‘try before you buy’ scheme, allowing UK customers to trial the cooling backrest cushion before deciding to purchase. Similar to Loopwheels, users cover the £20 postage fee before receiving their wheelAIR for a 14-day trial. The cushion is delivered directly to the user’s home and individuals are given instructions on how to install the product onto their wheelchair. Founder and Managing Director of wheelAIR Corien Staels said back in October 2018: “A modern appreciation of what our customers want and need has always been core to us. Our new initiative allows wheelchair users to make sure wheelAIR is right for them before committing completely. Although currently only available to UK customers, the company has ambitions to offer this initiative globally in the future.